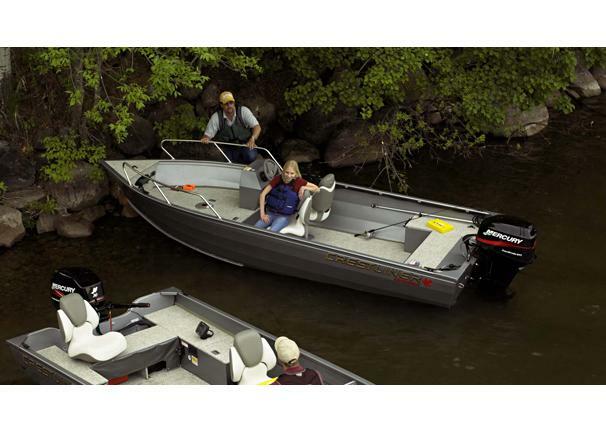 Boat Description The Crestliner Canadian 16 SC is a tough camp boat built for hard fishing. With vinyl floors, a built-in fuel tank, a livewell and baitwell, it`s ready for action. Deadrise at Transom 11 deg. Engine Notes Two and four-stroke Mercury engines available. West Bend, WI â€“ Cedar Lake Sales will be offering some tremendous deals on Saturday during its Crestliner Launch into Summer Sales Event.